Tis the season to fall sick…. The weather is turning cooler and that means we need to take some basic precautions in order to prevent cold and flu. 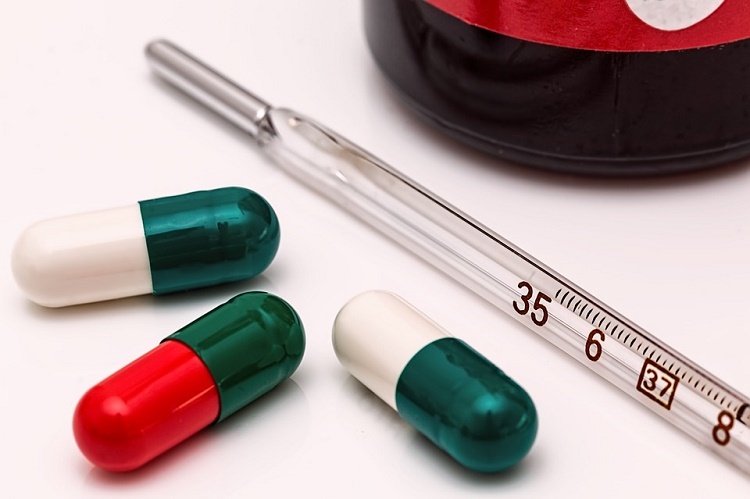 Typically: cold symptoms include runny nose, nasal congestion, sore throat and/or headaches. Flu symptoms include fever, aches and chills. Here are some easy ways to prevent colds and flu this season. 1. Wash your hands like a pro! Remove jewelry. Wet your hands. Apply the soap. Work up a rich lather. Scrub your hands for at least 15 seconds. Pay special attention to nails and backside of the hands and the skin in between the fingers. Rinse off. Dry the hands with a clean towel. Use disposable towels as microbes can remain alive for hours on wet, used towels. Shut off the faucet with the towel/tissue so you do not have to touch it. If you do not have access to soap or water, use a hand sanitizer. This can kill nearly 99% of bacteria. Hand sanitizers tend to be drying, so use a hand lotion if needed. Good quality hand lotions will also prevent cracks in the skin and prevent germs from getting inside. After working at the computer or using the phone. Before and after touching your face. Try to resist touching your face completely if you can help it. Frequently, if you are in contact with sick people. Flu shot could be an effective way of preventing seasonal flu. However, it is not guaranteed and kids and elders could still be vulnerable to the virus despite taking the shot. This may be due to the fact that the strain of influenza virus causing the infection differs annually and the vaccines may not keep up with it. The flu nasal shot may be taken by people aged between 2-49 years. Pregnant women must speak to their health care provider about its safety. Use antibacterial wipes, vinegar or mild bleach solution to clean tabletops, countertops, work surfaces, kids’ toys, telephones, cell phones, computer keyboards etc. This habit can kill microbes and prevent cold and flu to a large extent. Make sleep a priority. Avoid late nights. Lack of sleep hampers immunity and can make you sick. Take care of your body and mind through daily exercise, yoga or meditation. These things go a long way in building immunity. If you exercise in a gym, wipe down all equipment with antibacterial wipes before use. Drinking huge amounts of water to help flush out toxins and microbes. Water also dilutes the mucus and keeps airways clear.Drink hot water every few hours to soothe the throat –you could add honey and lemon juice to it to enhance immune strengthening properties. Some evidence suggests that taking high doses of vitamin C can help you develop immunity to cold and flu viruses. However, opinion on this is divided and some experts believe that taking 200 mg or more of Vitamin C at the start of the cold does not necessarily shorten its duration. That being said, vitamin C is a great antioxidant and won’t do any harm if you take it. Try to obtain it naturally through fruits and veggies of different colors. However, women in early pregnancy should avoid taking high doses of vitamin C. Always speak to your healthcare provider if you plan on taking any supplements to be on the safe side. Limit your intake of sugar which can reduce immunity by nearly 50%. Also avoid alcohol and caffeine which can dehydrate the body. Limit your consumption of fried foods, packaged or ready-to-eat foods and beverages as well as refined foods. A healthy body begins with a happy mind. Do not dwell on negative thoughts about sickness and disease. Instead, focus on positive things, and be grateful for your health. Try visualization techniques or meditate to stay in the present moment.Meet friends, love and laugh a lot. Try to keep busy with things you love to do. This is very important to prevent not just cold and flu but all other health issues.